Congratulations to Avon Place Employee of the Year! 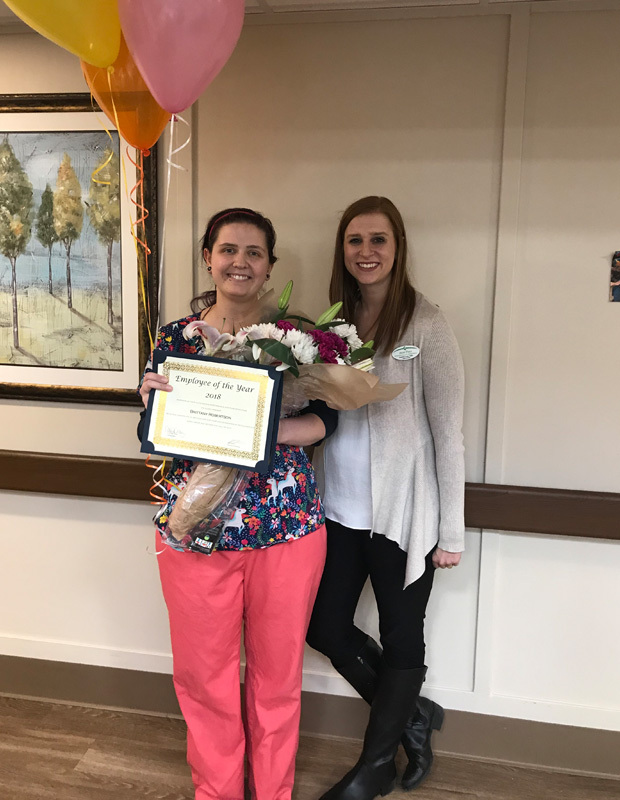 Congratulations to Brittany Robertson, LPN on being awarded the 2018 Administrator Employee of the Year Award! Brittany transferred to Avon Place as an STNA and fortunately for us stayed on board after she became an LPN. Brittany has never forgotten where she came from. She is always willing to lend a helping hand to the other STNA’s while she is working on the floor. Multiple times we have witnessed Brittany assisting other nurses with their duties without even being asked. She is extremely thorough and makes sure her unit is in the best shape possible. We appreciate everything you do for us here at Avon Place, Brittany! We are so thankful for the incredible team at Avon Place Skilled Nursing and Rehabilitation and how they have created "A Culture of Care" for our residents and families. As part of the Foundations Health Solutions family, we prioritize our residents, families, and their care. Founded by Brian Colleran, Foundations Health Solutions is Ohio’s premier long-term care company. Formerly doing business as Provider Services, our team of experts has more than 15 years of experience successfully supporting over 100 multifaceted long-term care facilities. With strong Christian values and heritage, Foundations Health Solutions is committed to serving our communities with the highest level of clinical excellence and resident satisfaction, along with a strong employee culture which places priority and resources on the direct caregiving team. We're so grateful for our team at Avon Place! Check out some of our highlighted events! The Easter Bunny visited Avon Place! Way to go, Linda and Tammy! Thank you for all you do, Nurse Brittany! We are so grateful for our community! Yahtzee! Another Fun Activity at Avon! With Linda’s help, several residents have learned how to play & can’t wait for her visit. © Copyright 2019 Avon Place Skilled Nursing adn Rehabilitation. All Rights Reserved.